Professional Results Start with Professional Brushes Master artist Peter McGrain has applied his years of teaching and creating to developing high quality tools that make glass painting easy. 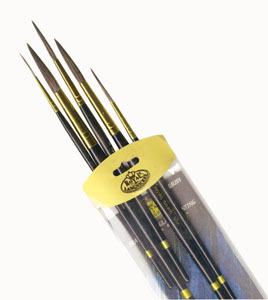 This paint brush set made of fine oxhair contains 5 tracing brushes in the sizes you will use the most. Delphi is more than just stained glass and fusing. We offer supplies for sandblasting, etching, glass painting, metal embossing, and much more. Find exclusive tools like the Delphi EZ-Pro Deluxe Kiln which fires both glass and ceramics. Delphi Makes It Easy: New to any of these crafts? 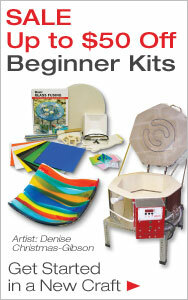 See our Getting Started section.